The story is about how around a pizza delivery boy lands in a mysterious circumstance and how it works a dramatic change in his life. A very different thriller which will make you sweat. Birla Bose, an encounter specialist’s next assignment takes him to the holy city of Rameshwaram, where the greatest challenge of his career awaits for him. Seenu is in love with Maha but his parents fix up his marriage with Akhila. However, circumstances force him to stay silent every time he tries to reveal his love affair. Three small-time criminals take up an offer to rob one of the biggest jewellery shops in the city. Will they be successful in their attempt, given that the store’s owner, a ruthless man, is aware of the plan? 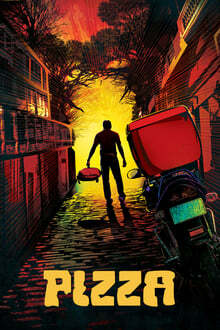 Vishwa, an idler, gets the job of his constable father after the latter is killed during a police operation. Will Vishwa, who is glad that his father is dead, go after his dad’s murderers?